In an time in which the digital world is the main source of information it is necessary to acquire a position with a positive evaluation within sites and platforms that review your locale. Nowadays, those looking for a place to spend a lunch or dinner rely on their mobile phone typing on the main search engines in which area and what they are looking for. The use of applications able to provide the position of the premises in the area of ​​research interest is widespread, especially in the new generations. But how to choose which among the many results is up to the customer who often decides to rely on online reviews that the application allows to publish. Review is a widespread term. In short, it is usually composed of an evaluation scale, for example from 1 to 5 stars, followed by a brief comment that the customer leaves on the platform where he found the announcement. The review is saved and made public so that subsequent customers can read the thoughts and opinions of previous ones to get an idea of ​​the product. What are the benefits of having so many reviews? Just having a place on the web offers great opportunities at your restaurant. In the past, to promote your club, you need flyers or car rides with megaphone to attract the most attention possible, methods that are still very effective. Now there is the possibility of self-promoting your own locale, through a digital word-pass. Having many reviews indicates that the product offered is interesting and very popular. Customers on the web feel more secure when they find a place with many reviews. The owner of the activity in question leads to greater visibility and a potential increase in the number of customers. What are customers looking for on the web? The numerous browsers of the network looking for a place to eat first look for information such as opening and closing times, type of menu, quality and indicatively value for money. Some of these data are provided directly by the owner of the premises, others are provided by the customers themselves in their reviews. Visual communication is an important factor, as the number of photos of the venue increases as reviews increase. This is an added value because in addition to reading opinions, the customer can see with his own eyes what the restaurant offers to start from ‘environment, catering and in some cases the dishes. How to improve the results of the reviews? We must start from the assumption that who writes post on the internet is a human being with their own opinions and tastes, consider a review as an affront is not recommended. 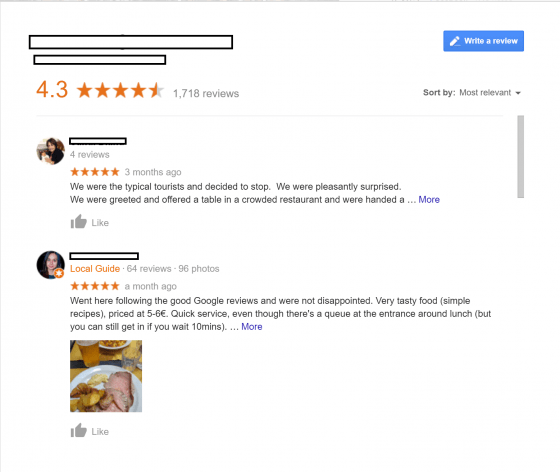 It is necessary that the owner of the restaurant read his reviews, positive or negative, and respond to the various customers, thus showing interest in the opinions of the consumer. A negative review in most cases is linked to an aspect that can be improved, for example, delayed table service, lack of waiters etc. . Understanding what the customer does not like is the first way to improve satisfaction and therefore increase the rating of the reviews. New technologies help us to be more efficient and connected, giving us the possibility to choose. 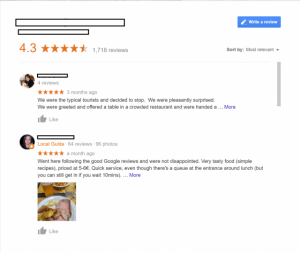 The reviews in restaurants help the owners to attract more customers, and why not even be more satisfied with their work. It is a guide on how to add yourself for free on “google maps” to start receiving recenzioni on your local. Speaking of restaurants means describing something very broad and generic and that requires important distinctions because it encompasses many aspects. It is part of that sector in the trade that concerns those activities that deal with the production and distribution of meals for customers. A sector that, with the increase in consumption of meals away from home, for work reasons, has found a remarkable growth and diversification, compared to the more traditional forms. Each environment or sector of work is based on certain bases and in this case it is appropriate to identify the rules for commercial restaurants. In fact it is defined in this way, as it includes both the hotel branch, the typical restaurant, the fast one and the traveling one. 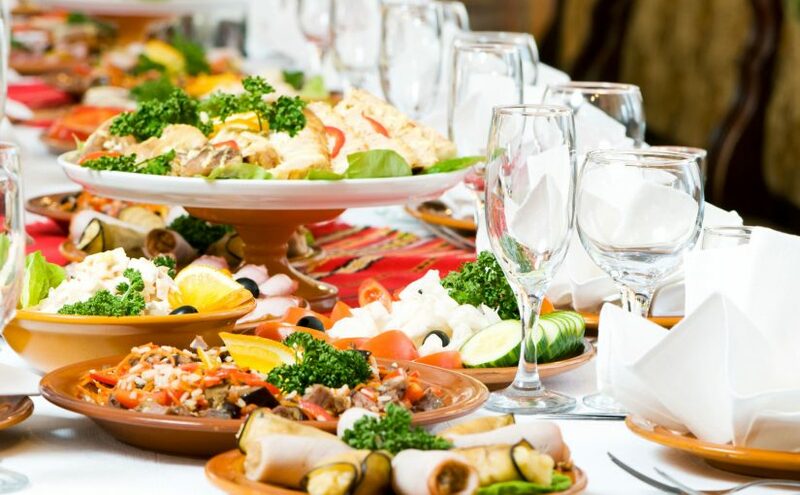 A feature that distinguishes commercial catering from other forms is that the companies that deal with the production and distribution of meals, refer to the individual customer, who has the right to choose the type of service, then the dishes to eat, choosing from a menu and therefore know what kind of price goes to meet. Going deeper than the explanation, in the commercial catering are part of those activities that deal with typical restaurants, so a traditional cuisine that offers typical dishes have a link with the territory. 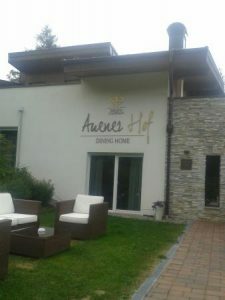 We also talk about activities that are based on a high quality concept, therefore those defined local gourmets whose environments are looked after in appearance, in the smallest details and with taste; moreover, we talk about refined and expensive food accompanied by important wine selections, a wider selection of cheeses and desserts. The theme restaurants, which are the ethnic ones that offer a type of cuisine typical of a particular country, are also included in the commercial restaurants category, as in the case of Chinese, Indian, Mexican restaurants etc., or that base their cuisine on specific foods as in the case of vegetarian restaurants. Then there are the restaurants of entertainment that in addition to the restaurant offer live music performances, cabaret, dance and anything else can involve their guests. They are simpler, in the furnishing and in the culinary proposal, but always pleasant, that is the trattorie: here prevails a kitchen of traditional type and casareccia and portions also abundant. 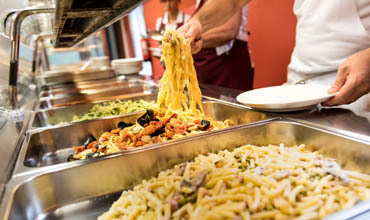 To end it is also called neoristorazione, which includes those commercial activities that are developing in recent years, such as self-service, fast food, pizzerias, spaghetti restaurants, fry or take away. 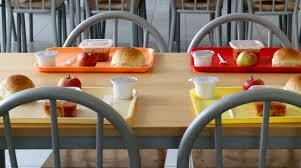 They are characterized by speed of service and as in the cases of self-service there is also the participation of the customer who serves alone and once finished eating, free the table by placing the tray emptied into special bins. Also consider the traveling restaurant category which includes the railway, air and naval categories and which, unlike the others we have mentioned, has particular needs. In fact it requires a good organization, human resources and at the same time also guarantee a medium-high quality of food and service. It also needs equipment and forms of food preparation to store it, transport it and also considering small spaces to store it. Among the rules for commercial restaurants, in addition to everything related to the organization of activities, services and the type of cuisine to be proposed, since there is a direct relationship with the individual customer, we need to broaden the marketing discourse on those which are the targets to which the various forms of commercial catering refer. In fact, what counts is the concept of loyalty, which is expressed in the choice of the customer to use the services and consume meals of a specific restaurant, as well as in the preference of prices that the local offers for the consumption of its food. This means that commercial catering, takes into account the trends and preferences that express its customers, thus going to propose their offer trying to capture the tastes and the resulting satisfaction of those who use it. This is a very important branch of catering, also because it embraces most of the activities that are developed in this sector and is also very open to innovation, as in recent years, for example, the service of home food through the use of smartphone applications. 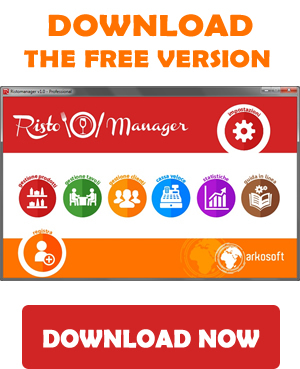 Very important is also the market of software for restaurants, which are now becoming of fundamental importance from the point of view of the optimization of work processes, as they allow to speed up those daily operations, which usually take place manually, and consequently reduce noticeably the margin of error. Trentino Alto Adige is a region located in Northern Italy, on the line with Austria and Switzerland. Its inhabitants have had a strong Austrian influence, so much so that they speak fluently both Italian and German. This strong influence naturally manifests itself in the kitchen as well. However, it is necessary to make a clear distinction between the two provinces of Trento and Bolzano, which belong respectively to the areas of Trentino and Alto Adige. The cuisine naturally changes in two provinces, thanks to the different influences that these territories have undergone over the years. 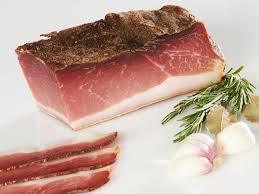 The Trentino cuisine is very rich and substantial, suitable for the harsh winter climate and low temperatures. This type of cuisine is very diverse in food from the land, vegetables and fruit, red meat and freshwater fish. 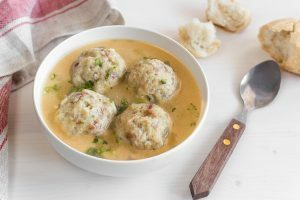 Among the first courses there are Canederli, which are large dumplings of stale bread, flavored with many aromas, cold cuts and cheeses; they are served with their own cooking sauces, with the classic seasoning butter and sage, or with tomato sauce. A first course similar to the Canederli are the strozzapreti, made with stale bread and flavored with spinach. Even soups are a good alternative and in Trentino they are really prepared for all tastes, from that of barley and vegetables up to that of yellow flour with sauerkraut. The second courses typical of this area are divided between those of meat and those of fish. Among the meat dishes there are the stew, the Osèi escapades, a sort of saltimbocca prepared with meat, lard and sage, and Carne salada, a salami typically served with a bean salad. As for the fish dishes instead, salmon trout are the master in the whole of Trentino cuisine. 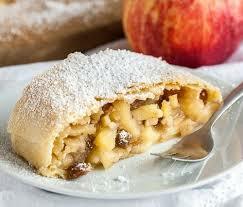 The most famous dessert is the Strudel, made with apple. The main ingredients of Strudel are obviously apples, raisins, nuts and crumbled biscuits. It is usually served accompanied by a sprinkling of powdered sugar, whipped cream or, for the more industrious, a good English cream to be done at the moment. The other typical sweets of the area are the Strauben, sweet fried made with flour, milk and grappa, the Grostoi, the classic Italian Chiacchere, the Smorrn, a sort of rolled and shredded Crepe, and finally the Vanillekipferl, the Christmas biscuits with vanilla in the shape of a croissant. The South Tyrolean cuisine, however, refers much more to the cuisine of nearby Austria. Even here among the first courses you can not fail to mention the Canederli, flavored in this case by Speck. Another traditional first course is Spätzle, gnocchetti cooked in boiling salted water, seasoned with butter and cream. The main courses are mainly represented by different meat dishes. In fact, in addition to finding the classic shoulder of lamb and traditional Wurstel, you can also find mutton, or venison and venison. Even here, of course, the trout is a common fish and is cooked in many different ways, for example with mushrooms, flavored with dill and smoked at the time of cooking, to give it a good taste of rustic and traditional. On the subject of desserts you can not miss the typical Saracen buckwheat cake, it is prepared with equal parts of buckwheat flour, butter, sugar, grated almonds and the addition of eggs. Now we bring you the name of 10 Best Restaurants where you can taste these delicious dishes. Terra Auener Hof “from Sarentino – The chef’s style is linear: simplify, dry, concentrated without resorting to superfluous fats, enhancing the raw materials and refining even the most demanding ones such as, for example, the cauliflower that is presented dehydrated, in cream with balsamic vinegar and marinated with herbs. St. Hubertus of San Cassiano in Badia – excellence for the territoriality and seasonality of products, combined to recall the tradition. Jasmin di Chiusa – only two tasting menus, one by the sea and one by surprise, to be indicated at the time of booking. Trenkerstube of Castel Tirolo – The basics of this cuisine are fresh and natural ingredients, personally selected by Gerhard Wieser. Many of these basic products come from the region. 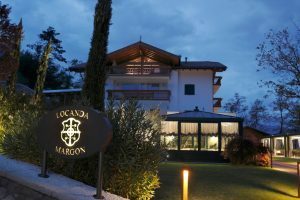 Locanda Margon (Ravine di Trento) – Two paths in taste: the research, with the Ferrari bubbles that become an integral part of the dish, and the territory, with the celebration of Trentino culture. El Molin (Cavalese) – has been experimenting with unusual raw materials, such as lichens, for over twenty years, or perfects ancient recipes that have lost a bit of enamel. His is a kitchen that smells of smoke, grass from the woods, a hunting lodge. Malga Panna (Moena) – its cuisine is a completely personal revision of the gastronomic culture of Trentino, of which it recalls the typical products and traditional methods of conservation. Chimpl (Vigo di Fassa) – Ideas inspired by nature are transformed into a kitchen with an ancient heart but innovative in technique, immediate in enhancing the taste of meat, freshwater fish and many other goodness. Gallo Cedrone, Madonna di Campiglio – A continuous search for quality raw materials, artisanal products, culinary curiosities from a rugged mountain territory rich in tradition and genuineness. Pizza recipes for the estate: light pizzas, marinated and with vegetables. 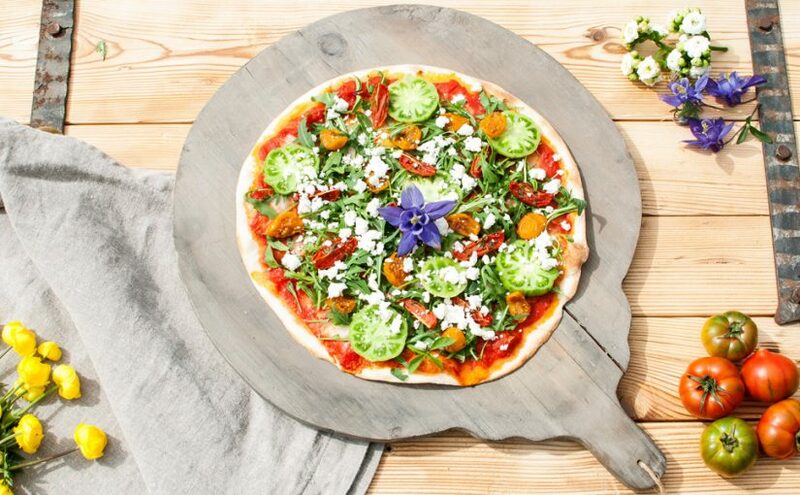 The pizza is not affected by the climate, you know, but despite the unchanged passion of millions of Italians and not, during the summer are recommended pizzas full of fresh ingredients and light, perfect for a climate so “hot”! For those whose accompany it with an iced drink, in fact, maybe a diavola with spicy pepper and salami for lunch can be fine … but in general the pizzerias’ menus tend to offer light novelties on the summer pizza, which are popular in the kitchen of the masters pizzaioli, both among those who do it at home, maybe after a pizza-maker course. The condiments in the pizzeria can always be the same, if you think of the classic mozzarella, but also “rotate” according to the season, for those who follow a menu that in turn follows the climate cycles, perhaps with organic ingredients or local products for pizza. In the summer heat evenings, therefore, can easily be found on the table suitable for the pizzas with ingredients added raw on pizzas with white bases, to give a fresh taste to the palate and make the pizza in a rich way even in summer! Fresh and colorful pizzas will require grilled vegetables, cherry tomatoes, olives, fish, light cheeses such as stracchino and cured meats not too fat, such as bresaola or raw ham. Among the summer pizzas to try, some seem very fanciful for home-made recipes as well as to be ordered in pizzerias – whether they are round or sliced ​​pizzas. Pizza with zucchini, dressed with swordfish and pecorino carpaccio. The suggestion of these summer recipes comes from a tradition such as that of pizza and figs, for example, or from creativity given by cooking with mozzarella and vegetables, on which it is seasoned with a “to dust” ingredient. Many star-studded pizzas also offer mixtures of wholemeal flour or soy, to lighten even the dough, or to harmonize the base of the pizza with different flavors from the traditional ones. Among the most innovative recipes, those with grated fresh lemon on vegetables and anchovies, to create summer notes on pizzas and to be revisited, such as those that include carrots, zucchini, onions, zucchini flowers and even a sweet raisin. For lovers of pizza with hot peppers, they can be enjoyed well on cheeses such as provola and aubergines, but they are really suitable for all seasons, except in the summer they can be refreshed with celery, olives and cherry tomatoes. Some recipes, then, include the use of pistachio grains together with basil and oregano, creates a mix of intense flavors but not too enveloping as in winter pizzas. Very famous in Rome and in the central south, this pizza has however become a typical summer specialty. If at one time it was mainly present in September, today at the center of the summer it is found in many pizzeria menus, ready to be tasted. The ingredients are simple but create a fresh and unique taste, which can also be enriched with other nuances of taste, in particular with the ham that goes well with the taste of very ripe figs or with the crescenza, fresh cheese ideal for seasoning this pizza. Even this pizza is often seen, ready to be enjoyed with its load of intense taste and flavors that are optimal in a summer evening. It is prepared with the fiordilatte out of cooking, and then garnish with the stracciatella di bufala pugliese and the ham, which can be cooked or raw. Stracciatella is practically the inner part of the burrata, the most tasty part that can season pizza with a strong taste. It is used to make the fresh cream and the buffalo mozzarella. Better still if stracciatella derives from the milk cream, the fattest part obtained from fresh milk by spontaneous surfacing during the resting phase. It will not be a “light” pizza but this is definitely a variant that in the summer is tempting for many! It starts from the base of the pizza to add this second course, the salmon with yogurt sauce and chives, which is light and tasty in the variant with smoked salmon. The Greek yogurt sauce is flavored with chives and lemon (as already said great summer protagonist), then combined with salmon, divided into strips. 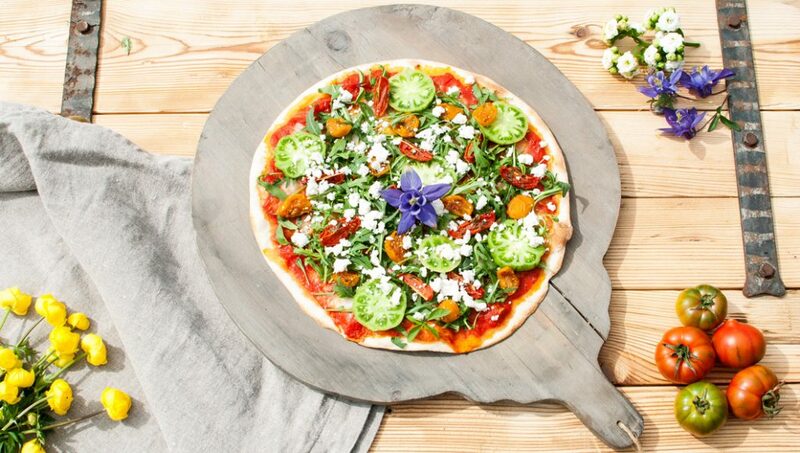 A light and nutritious summer pizza, which can have as an alternative pizza with salmon, ricotta and spinach! The variant with the Greek feta, continues the tradition of combining a fresh cheese with this fish, which is suitable for a nutritious but light diet, for those wishing to taste the flavor of the fish without renouncing the base of the pizza and the garnish with the cheeses. Among the pizzas with pesto, however, in addition to the Genoese, there are variants with Sicilian pesto or with zucchini pesto, which is accompanied by raw ham. For those who love pumpkin flowers and can not give up the cold cuts, you can add mozzarella a beautiful flower and a few slices of salami, alternatively the ricotta cheese or cheeses with a decided tone, which contrast the sweetness of the pumpkin flowers. Of summer pizzas, in the end, those who have more more than prepare … for every taste, as always once at the table, there will be creativity and skill of the pizza chef to advise us! 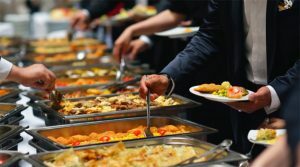 Collective Catering: what is it? “Collective catering” means the preparation and delivery service for a large number of complete meals for the community, such as: company canteens, schools, hospitals, prisons, etc. It is aimed at groups of people who need to take advantage of this kind of service, as they are far from home for different reasons. Collective catering is born as an adaptation to society: for industrialization, with workers originally employed in the factories, and then in the tertiary sector; for the transformation of the family from patriarchal to mononuclear; for the spread of canteens in schools from kindergarten to university; for health care; for the assistance community. Collective catering is distinguished in a conventional system and a collective bond. As for the first, the foods are cooked and immediately distributed to consumers. In the second case, instead, the preparation and cooking operations and those of distribution and consumption are carried out in completely separate times and places. The preparation and cooking of the food is in fact carried out in large centers, from which the finished meals come out, which are transported to the canteens for distribution and consumption. Consumers of catering, generally choose where to eat the meal, and make continuous and prolonged use of the service. In some cases the cost of the service is born by the company in which it is offered, in other cases the customer pays a part. The collective catering is a catering of necessity, instrumental, not of pleasure; it focuses its attention on the realization and delivery of dishes, while the service is usually non-existent. assistance catering: intended for indigent people; it is organized in canteens but sometimes also with home service. Each form of collective catering has specific needs, related to the type and needs of customers who must use it. Careful attention must be paid to the nutritional and hygienic aspects, with constant quality standards that adapt to the changing and diverse needs of users. It is therefore proposed a standardized kitchen, but not without quality. Although less intense and pleasant taste and with a presentation of the dishes little attention, the cuisine of the collective catering is certainly very controlled and balanced under the nutritional aspect. The menu is always the result of a work between chefs and nutritionists, often with the help of medical staff; each work phase is predetermined in every aspect, usually under the supervision of an expert in hygiene procedures and with a strong control of analysis laboratories. where to buy raw materials – collective catering companies have to buy large quantities of basic ingredients. These choose suppliers, who can be wholesalers or small producers paying attention to the value of food at Km 0, to the emerging buying groups and to the traditional general markets. So buying raw materials does not just mean buying large quantities of food from wholesalers, but also selecting a set of suppliers of different types, for products that are equally different in terms of quality and not just quantity. how the menus are born – We must take into account today’s trends (vegans, vegetarians), be careful about people with food intolerances or allergies and finally respect the religious cultures of today’s society. For this reason we talk about “menu programming” to take into account all these factors. 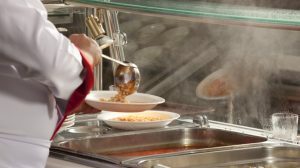 For companies, the menus include the classic dishes of traditional Italian cuisine, prepared with seasonal products, as well as ethnic and international dishes. As for the school menus, the nutrition of the little ones is the most important. how to prepare meals – this can be done in two ways: either inside the place where they will be served or with “conveyed meals”, this means that the preparation and cooking operations and those of distribution and consumption are carried out in times and separate places. The preparation and cooking of the food is in fact carried out in large centers, from which the finished meals come out, which are then transported to the canteens for distribution and consumption. how to deliver meals – meal delivery is a logistics matter. We need to think beyond the time it takes to pack and secure meals, traffic and operations to prepare food to be served. It is necessary to be very attentive to the delicacy of the goods transported and above all to the cooking temperature of a food that comes out of the kitchen and that can not vary much compared to the time when it will be served for its consumption.